Starting with the design and planning stage, Bilfinger Noell conducts studies regarding feasibility, cost and schedule analysis as well as concerning preparation for serial production. Furthermore, Bilfinger Noell fabricates prototypes to support implementing sophisticated projects and products and preparing them for subsequent serial industrial production. 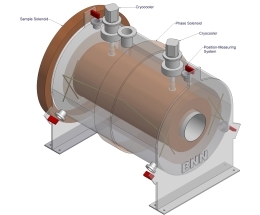 Below, you will find several examples of studies and prototypes by Bilfinger Noell.